Debra Mitchell is the Administrator at Children’s Orthopaedics and Scoliosis Surgery Associates, a private practice with six pediatric orthopaedic surgeons and six PAs. The practice is located in St Petersburg Florida at John Hopkins All Children’s Hospital. 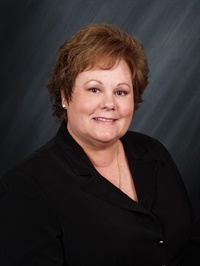 Mitchell has a Bachelor of Science Nursing (BSN) degree as well as a Master’s in Business Administration (MBA) degree. She has been a member of the American Alliance of Orthopaedic Executives (AAOE) since 1999. She has served on Advocacy Task Force, Advocacy Council, AAOE Nominating Committee, Education Task Force, and Education Council. She has been a member of the Florida Bones since 2000. She was Program/Education Director for the Florida Bones meeting in 2002. She served as President of Florida Bones (2008-2009), and a member Board of Directors of the Florida Orthopaedic Risk Purchasing Group (2008 and again in 2014, 2015, 2016).